Financing the Judiciary in the Netherlands: between work overload in the courts and government control of the Judicial Budget. Funding the Judiciary: How Budgeting System Shapes Justice. A Comparative Analysis of Three Case Studies. An Examination of How District Attorneys Perceive Justice. Wish to advertise in this journal or interested in becoming a sponsor? Feel free to read more about your options! 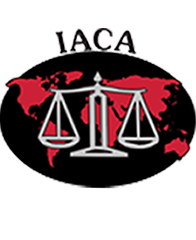 The International Journal for Court Administration (IJCA) is an electronic journal which focuses on court, judicial, and justice system administration, management, and governance. It provides a platform for the professional exchange of knowledge, experience and research in those areas for a diverse audience of practitioners and academics. Its scope is international. The editors welcome submissions from court officials, judges, justice ministry officials, academic researchers and consultants whose work and interests lie in the practical aspects of the effective administration of justice.